Beulah Mary Stauffer Hostetler: historian, college professor, and denominational leader was born on 8 July 1926, in Tofield, Alberta, Canada the daughter of Ezra Stauffer (15 February 1898-1 August 1955) and Irene Lehman Stauffer (16 December 1899-18 February 1945); she was the youngest of two sons and three daughters. Beulah married John A. Hostetler (1918-2001) on 14 February 1953, in Scottdale, Pennsylvania, where she worked for the Mennonite Publishing House as an editor. Throughout her life, she supported and collaborated with her husband in his voluminous research on Amish, Hutterites and Mennonites. Together they had three children—Ann Elizabeth, Mary Irene and Laura Elaine—and seven grandchildren. Beulah Hostetler died 30 April 2005 at her home in Goshen, Indiana. Beulah and John Hostetler are buried in the Violett Cemetery in Goshen. Beulah came to the United States to attend Hesston College (Kansas). In 1947 she received a BA from Goshen College (Indiana). From 1949-1950 she attended the Pennsylvania Academy of Fine Arts. Later Beulah went on to further graduate work, and in 1977 received a PhD in Religious Thought from the University of Pennsylvania. Her doctoral thesis, substantially revised and expanded, appeared in the Studies in Anabaptist and Mennonite History (SAMH) series with the title American Mennonites and Protestant Movements: a Community Paradigm (Herald Press, 1987). In addition to this seminal work on the history and theology of Mennonites in eastern Pennsylvania, she also copy-edited The Complete Writings of Menno Simons and published numerous articles on Amish, Anabaptist and Pietist groups, including six essays in the Mennonite Quarterly Review (MQR). From 1986-1989, Beulah Stauffer Hostetler was an assistant professor of sociology at Elizabethtown College (Pennsylvania) and associate director of the Center for Anabaptist and Pietist Studies at that institution from 1987-1989. Hostetler served on the board of trustees of Eastern Mennonite University and Christopher Dock Mennonite High School. She was active in leadership in the Mennonite Church (MC), serving on the Council on Faith, Life and Strategy, the Mennonite Confession of Faith Committee, the Historical Committee of the Mennonite Church, the Task Force on Principles of Biblical Interpretation and the Mennonite World Conference-Baptist World Alliance Interfaith Dialogue. 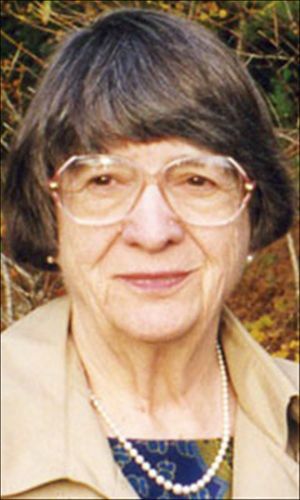 She was an active member of the editorial council of Mennonite Encyclopedia V, an editor of the Studies in Anabaptist and Mennonite History series and a consulting editor of MQR. During the 1990s she researched and wrote a manuscript detailing her family's history as it intersected with Mennonite migration and movement westward in the mid-nineteenth and early twentieth centuries. Hostetler received Goshen College's "Culture for Service" award in 1996. Among the first Mennonite women in North America to receive a PhD, Beulah Stauffer Hostetler was a gifted scholar, deeply committed to her teaching, her service to the Mennonite Church and to the broader cause of Anabaptist-Mennonite studies. “Beulah Mary Stauffer.” SAGA (Swiss Anabaptist Genealogical Association) Genealogical Website. Web. 13 June 2016. http://www.saga-omii.org/TNG10/getperson.php?personID=I174134&tree=Hostetler. “Beulah S. Hostetler.” The Elkhart Truth. Web. 16 June 2016. http://www.elkharttruth.com/obituaries/2005/05/03/BEULAH-S-HOSTETLER-1.html. “Hostetler, Beulah Stauffer (1926-2005).” Biographical Wiki - Mennonite Library and USA Archives. 2011. Web. 13 June 2016. https://mla.bethelks.edu/mediawiki/index.php/Hostetler,_Beulah_Stauffer_(1926-2005). Roth, John D. “In Memoriam: Beulah Stauffer Hostetler (1926-2005).” Mennonite Quarterly Review 79 (July 2005): 544. This GAMEO article is derived, with permission, from the MQR memorial article. Cross, Harold E. and Beulah Stauffer Hostetler. Index to selected Amish genealogies. Baltimore : Division of Medical Genetics, Dept. of Medicine, Johns Hopkins University School of Medicine, 1970? Hostetler, Beulah Stauffer. American Mennonites and Protestant movements : a community paradigm. Scottdale, Pa. : Herald Press, 1987. Roth, John D. "Hostetler, Beulah Mary Stauffer (1926-2005)." Global Anabaptist Mennonite Encyclopedia Online. June 2016. Web. 25 Apr 2019. http://gameo.org/index.php?title=Hostetler,_Beulah_Mary_Stauffer_(1926-2005)&oldid=135181. Roth, John D. (June 2016). Hostetler, Beulah Mary Stauffer (1926-2005). Global Anabaptist Mennonite Encyclopedia Online. Retrieved 25 April 2019, from http://gameo.org/index.php?title=Hostetler,_Beulah_Mary_Stauffer_(1926-2005)&oldid=135181. This page was last modified on 22 July 2016, at 19:00.